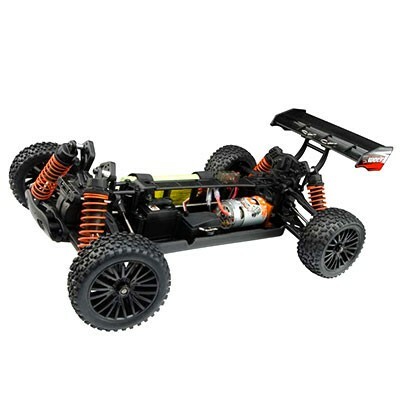 The DHK Wolf 2 1:10 4WD RTR Electric RC Buggy is a strong and durable in a complete package that is already factory built! 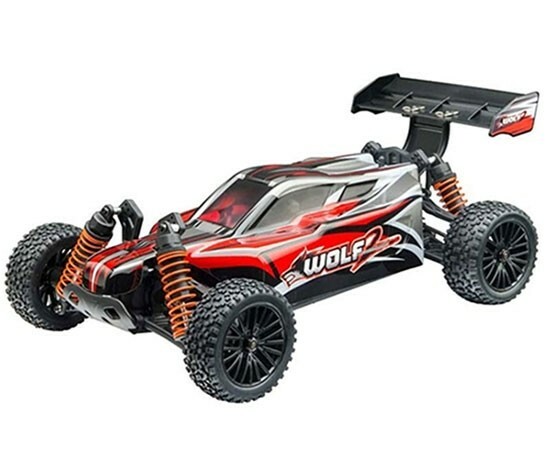 With large coil-over shocks, strong four-wheel-drive (4WD) power-train, large drive axles, composite chassis, and double-deck chassis, the Wolf 2 is sure to withstand harsh driving conditions while allowing the driver to control the vehicle with ease! 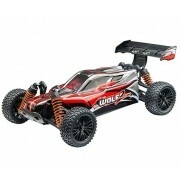 The motor controller provided is a proportional electronic speed control with forward, brake, and reverse, and a motor that is well suited for the Wolf. Everyone can drive this buggy. 4WD means more traction and more stability. You'll be tearing it up on most any terrain and drive through it with ease thanks to the mounted knobby tires. 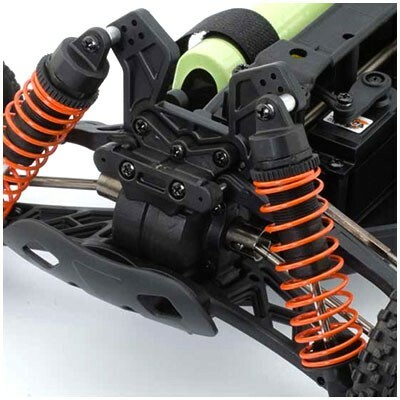 The large bore, coil-over shocks soak up the obstacles and jumps! Launch it! The Wolf is nimble and ready! 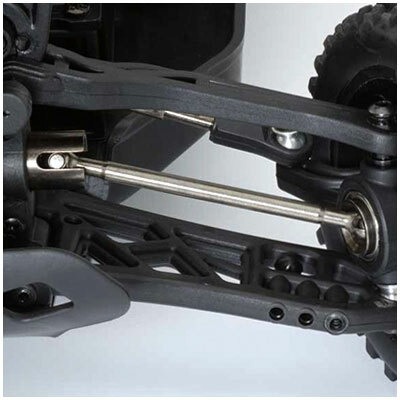 The shocks and differentials are also oil-filled which allows the user to tune them for different terrain and make sure the Wolf buggy is adaptable to various conditions. 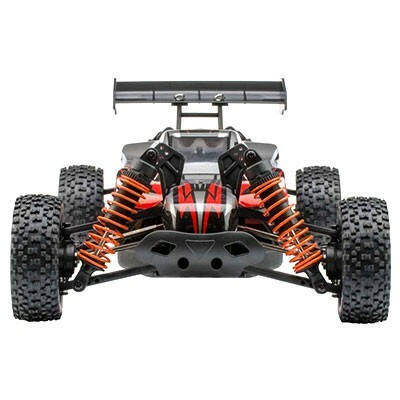 A complete package, the DHK Wolf 2 1:10 4WD RTR Electric RC Buggy is sure to please new hobbyists and not let them down!